By participating in an evaluation skate, participants commit themselves to the player draft conducted right before the start of the season. Once a participant is selected by a team, the captain of the team they are drafted to will be in contact with the participant to review next steps. What are the age requirements to join the league? 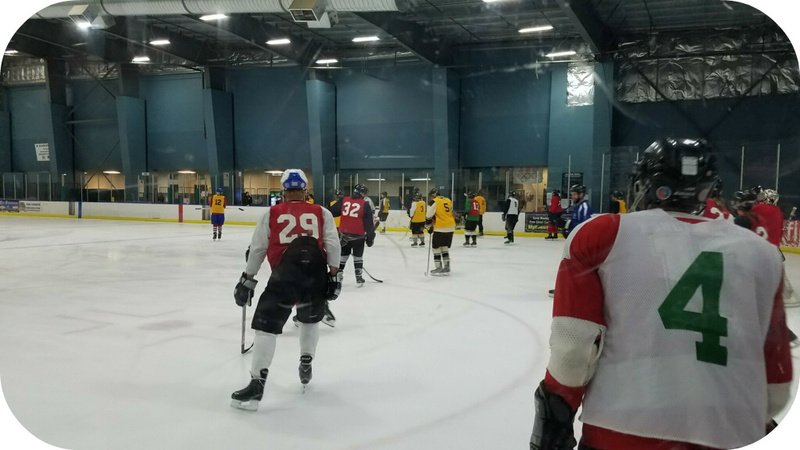 The Greater Seattle Hockey League is an adult league, so anyone over the age of 18 is welcome with no cap! We have new hockey players sign up that are over 80-years-old! You are never too old. Do I need to register before attending an evaluation skate? All participants are encouraged to complete a New Player Application prior to arriving at the evaluation skate they wish to attend. However, all participants are required to have previously registered with USA Hockey. Please bring your USA Hockey registration # with to the evaluation skate. What's the evaluation skate process? When you arrive at an evaluation skate, you will complete a registration form that will ask for basic information, including your USA Hockey registration #. Please print legibly so we can easily locate your online New Player Application. After you suit up and hit the ice, participants will be put through several drills -- including skating, shooting, passing, etc. -- followed by a light scrimmage. GSHL league officials are assessing each participant's skills to place participants in the appropriate division based upon displayed skill level. At the completion of all evaluation skates, the league hosts a captains draft about two weeks prior to the start of each season. Each participant who has pre-paid their player dues for the season is guaranteed placement on a team. Everyone else who has completed a New Player Application and/or attended an evaluation skate are also placed in the draft. Participants who paid their dues are drafted first, followed by unpaid participants, if spots remain. I completed a New Player App and attended an evaluation skate -- but can no longer play. If you completed a New Player Application and/or attended an evaluation skate, and can no longer join a team, please contact the league at Info@GSHockey.com so that we can remove your information from the captains draft. If you pre-paid your season dues, please include this information in your email so that we can assess the potential for a refund.